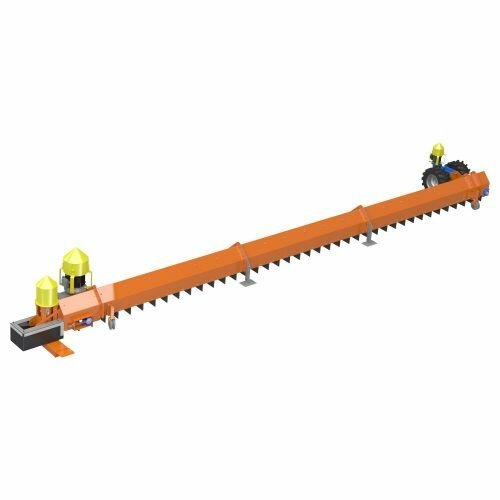 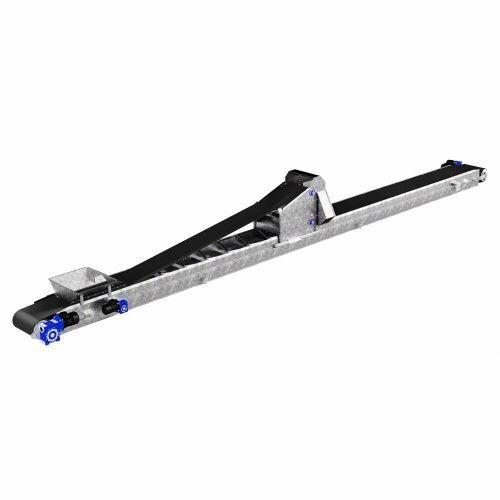 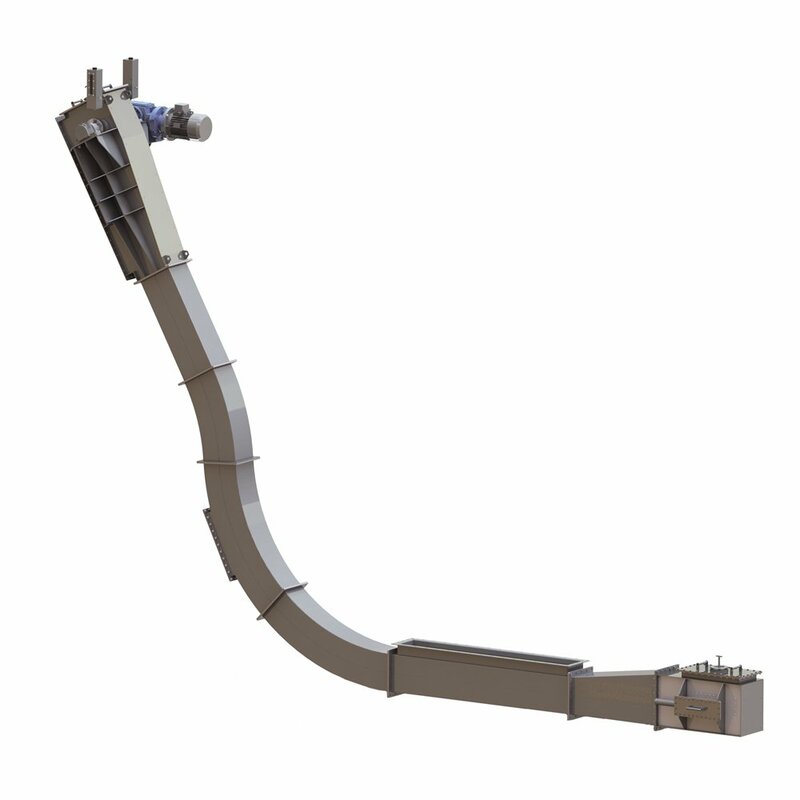 ELICA River-EX is a chain conveyor which manages vertical and horizontal conveying of hazardous materials. 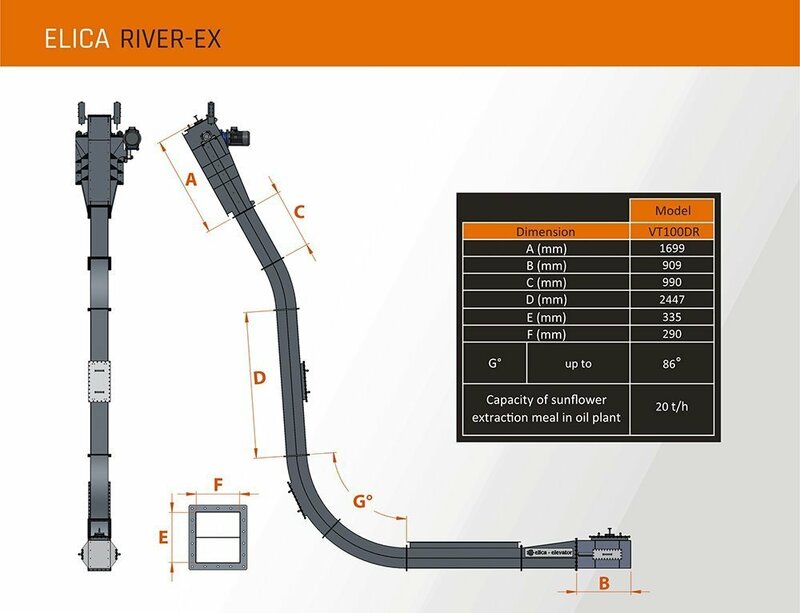 ELICA River-EX is a chain conveyor which manages vertical and horizontal conveying of hazardous materials. 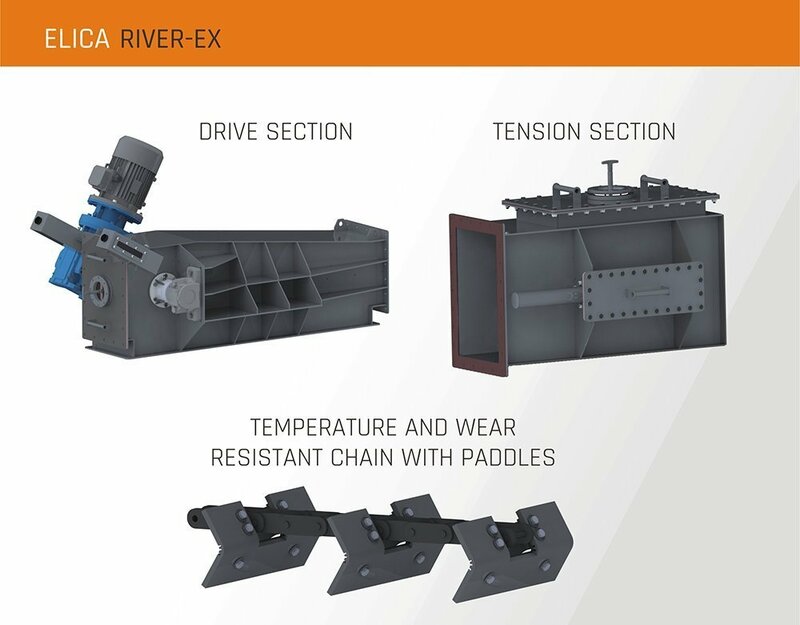 ELICA River-X is specially designed to service oil crushing factories and any other industry requiring explosion proof equipment. 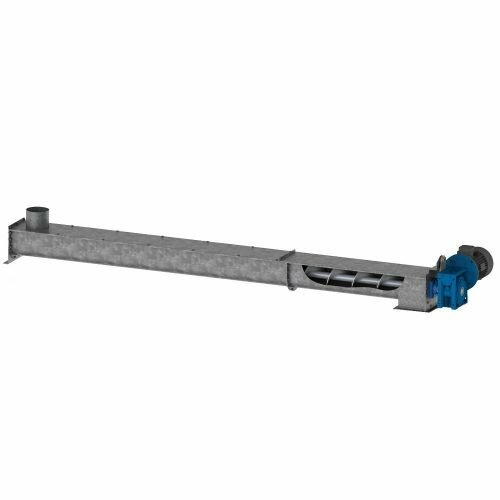 The vapour sealed construction is intended to convey the material coming from the solvent extraction process. 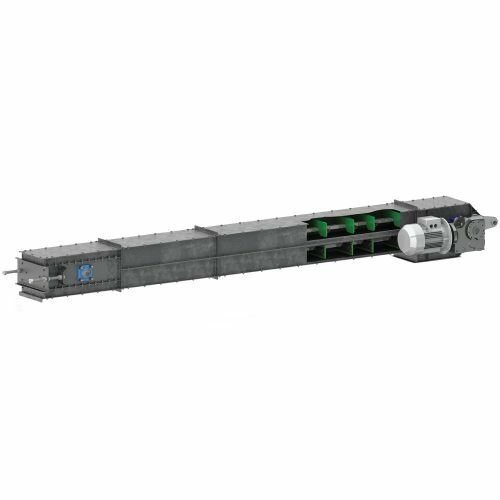 It is built completely with stainless steel bolted modules.